Drop by just about any health store and you'll hear raves about charcoal's curious and newfound properties as a sponge for the body's toxins. Turns out its beauty benefits are just as miraculous. The NUOVAWHITE Charcoal Teeth Whitening System uses charcoal as the active ingredient for a treatment that will visibly make your pearlies pearlier after just one go. 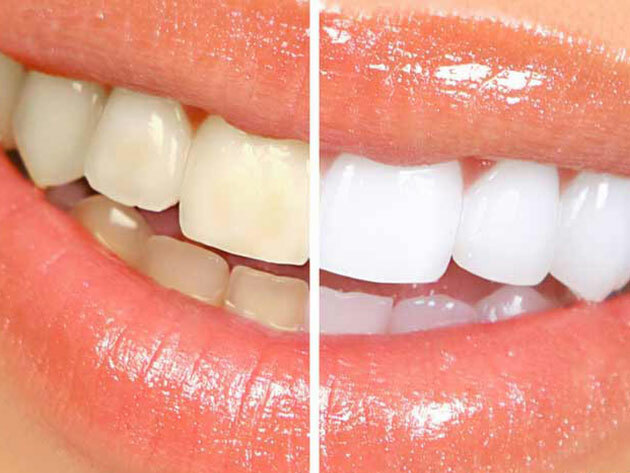 NUOVAWHITE works with Blue LED Light technology and specially treated whitening charcoal to brighten your smile. And it doesn't just improve the looks: The treatments actually bolster and restore your existing tooth enamel in the process. It's the safest treatment around - FDA compliant, cruelty-free and even completely kosher.